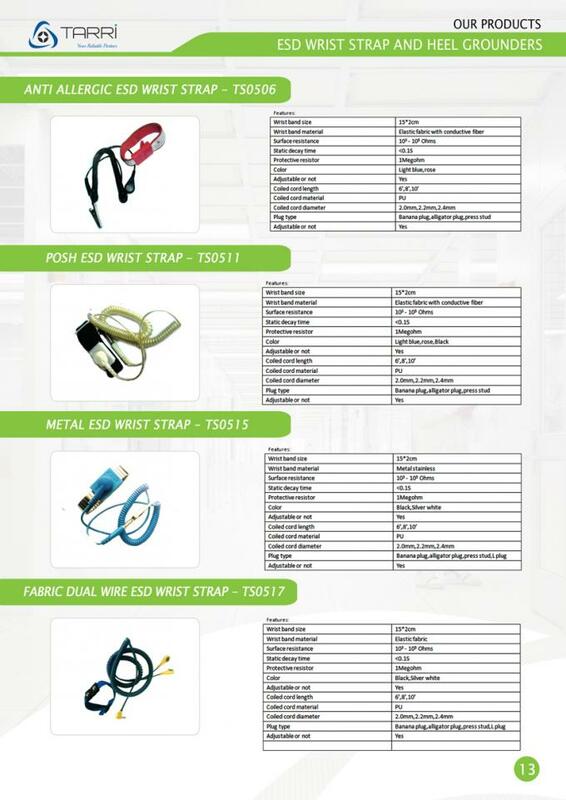 Supplied with a 2.0,2.2,2.4m PU or PVC coil cord,adjustable anti static,ESD Wrist band is a basic and widely facility in ESD equipment usage, it’s operate is very convenience. It is compose of wrist loop and grounding wire, the wrist loop is contact with cutis directly, passed button and in series with grounding, form an release static electorn charge channel, transfer away static electorn charge from human body. The grounding wire is made of circling wire, space minimum occupied, disengaged adjust operate distance. It can renew after haul straight. Every grounding wire has an safety 1MΩ resistance, it protects operators safety as well as current-sensing devices.